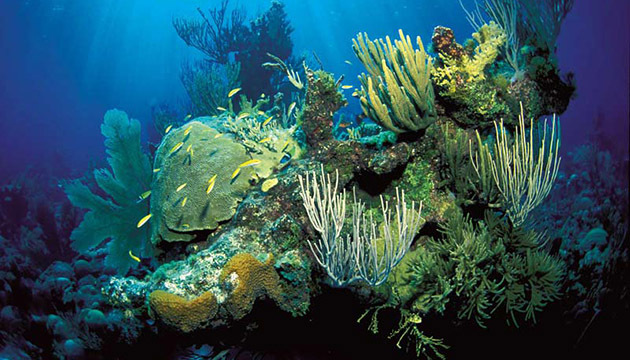 Coral reefs have almost always been studied up close, by scientists in the water looking at small portions of reefs to gather data and knowledge about the larger ecosystems. NASA’s Jet Propulsion Laboratory is taking a step back and getting a wider view, from about 23,000 feet above. NASA and top scientists from around the world are launching a three-year campaign Thursday to gather new data on coral reefs like never before. Using specially designed instruments mounted on high-flying aircraft, the scientists plan to map large swaths of coral around the world in hopes of better understanding how environmental changes such as global warming and pollution are affecting these delicate and important ecosystems. “The idea is to get a new perspective on coral reefs from above, to study them at a larger scale than we have been able to before, and then relate reef condition to the environment,” said Eric Hochberg of the Bermuda Institute of Ocean Sciences. Hochber is principal investigator for the project, which is called the Coral Reef Airborne Laboratory (Coral).